Hardywood has several events going on this week and this weekend that are sure to perk you up after a long week. Tonight, the brewery will have a Vegan pop up with local food trucks Bikini Panini, Goatocado, Boka Tako Truck and more serving vegan only menus. On Friday, Hardwood will release Blancoveza, a Mexican style lager in celebration for Cinco De Mayo. 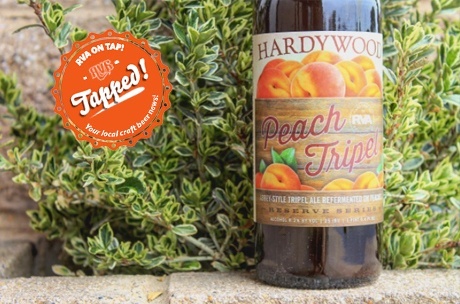 Finally, on Saturday Hardywood will release their Peach Tripel, an abbey-style tripel ale refermented on peaches. They will also release something new, Derby Day Bourbon Cru: the iconic mint julep is realized in this Kentucky Derby-inspired variation of our Bourbon Barrel Cru. Derby Day Bourbon Cru will be available in limited quantities, draft only. Center of the Universe is celebrating Cinco De Mayo with their Mexican lager release as well on Friday. The Cultured Swine will provide Mexican-inspired food, and their newest beer, the crisp, light Lager Libre, will be flowing from the taps. This Saturday, COTU will also release their Summer Moon Imperial Raspberry Lemonade Wheat brew. The beer is brewed with over 600lbs of Raspberrys and 5 cases of lemon zest, clocks in at a whopping 8.1%. Ardent Craft Ales will release their brew Schwarzbier, a Classic dark German lager, this Saturday. THis brew won the gold medal in the Darker European Beer category at the 2016 Virginia Craft Beer Cup so be sure to go check that out if you havent already. Triple Crossing will release two brews at their Fulton location this Friday. Green Dreams DIPA featuring Citra, Centennial, El Dorado and Paranoid ALEdroid Pale Ale – Citra Wheat based Pale Ale will be available in cans! Isley is celebrating Cinco De Mayo this Friday with a special infusion, a Sangria-style Belgian Ale. It sounds amazing so be sure to put that on your list of Cinco De Mayo activities. Three Notch’d Brewing RVA Collab House has partnered with Bard Unbound to release a brew this Thursday inspired by William Shakespeare. “Falstaff’s Folly” is an English Brown Ale and he release taps at 5pm, Brewmaster’s Toast is between 6-630pm and there will be a performance by Bard UnBound shortly after. Strangeways has a couple of cool events going on this weekend. On Friday and Saturday, join RED VEIN ARMY and STRANGEWAYS BREWING for SPRING-O-WEEN Part 2, a halfway to Halloween celebration! 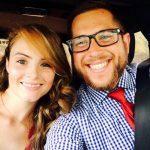 Just like last year, throughout the weekend, RED VEIN ARMY will be running a 3-minute Escape Room. The theme will be “Alice and Through the Looking Glass” which is sequel to last year’s “Alice’s Adventures in Wonderland”. TICKETS: $5 per person, groups of 6 or less. There will also be a costume contest. Lickinghole Creek will release Eternal President along with a few others to benefit Courthouse Creek Cidery who recently suffered a fire. The Eternal President is an Imperial Stout that has been aging on Chocolate and Spices in Tequila Barrels. The Supreme Leader, Great Commander, Heir Apparent and the Enlightened Despot will celebrate Derby Day and the return of Secretariat’s Meadow Red Imperial IPA. $40 General tickets include one bottle of Eternal President and up to 4 12oz pours (food separate). $65 for (limited to 250) include access to VIP tent, private pour station, custom 5oz tasting glass and sampling of the Eternal President, the Dictators and 2017 Despot Series. Midnight Brewery will release Luputopia, a fruity, hoppy IPA on Friday. Garden Grove Brewing Company will host a Special Edition Star Wars Trivia Tonight! The Carytown brewery will have two new releases this weekend including a Dry Stout – 5.1% and the Isabella Sparkler – 6% abv, Rosé style sparkling Honey Wine made with orange blossom honey & a pinch of peaches, apples, and flowers. Fermented in Red Wine Barrels. On Monday, May 29 GG will host their next great meal in their ongoing Taproom Dinner Series featuring Wild Ginger Asian Fusion & Sushi! Five courses of mouth-watering cuisine will be matched with five of their beers. $39 plus tax & tip, Reservations Required. Details here. On Friday, Buskey Cider will release its Mint Julep Cider. Interesting combo, but could be tasty! Final Gravity Brewing Co. will have a double beer release this Friday. Solar Flares Double IPA – 8% ABV, brewed and triple dry hopped with Mosaic, Amarillo, and Citra to create a hazy, golden, citrusy hop bomb that’s goes down smooth and Ain’t the Devil Happy Belgian Golden Strong Ale – 8% ABV. Celebrate Cinco De Mayo with The Veil Brewing Co. and Intergalactic Tacos. The brewery will be releasing their Mexican Lager, Jackson Flavor in cans and on draft.